Our finding of a worker of the shining guest ant (August 2014, during the translocation of wood ant nest domes) was not the only one in recent years. 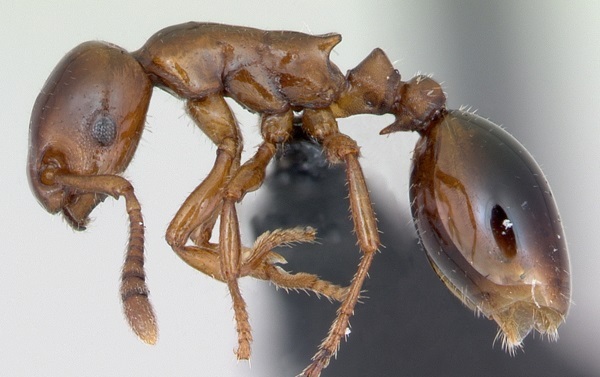 According to the Red List of endangered species the shining guest ant status is vulnerable, but probably the species is more common than we think. Her presence often goes unnoticed because of the hidden lifestyle and small size. Observations of this species, along with a suggestion to revise the Red List status were brought together in this article (English abstract only) in the Bulletin of the Royal Belgian Entomological Society.